A nice photo of your Dad. Those pictures are always a little more special when the driver is holding the checkers like your Dad. 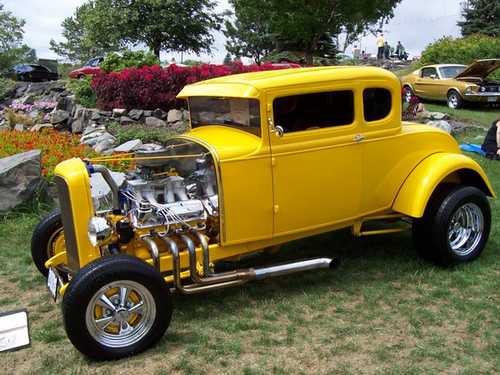 Kathy, I was looking at some of the photos you have posted on Flickr.... gorgeous stuff... Hope you don't mind me sharing here this photo you have posted there of the beautiful American Graffiti replica built by your Dad... what a talented man and what a talented photographer you are! Watched American Graffiti Fri. night on Turner Classic Movie channel.